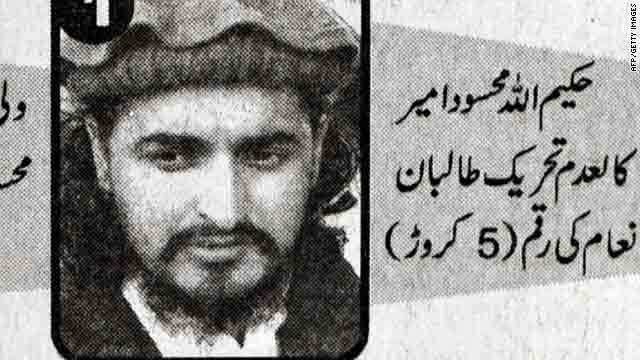 Tehrik-i-Taliban Pakistan (TTP) chief Hakeemullah Mehsud's mugshot is seen in a Pakistani newspaper on November 3. Islamabad, Pakistan (CNN) -- The Pakistani Taliban are waiting the weather out and will take on the military when winter arrives in Pakistan's tribal region, said Taliban leader Hakeemullah Mehsud in a phone call with CNN. "We will wait till January for our offensive since we are stronger during the snowing season," Mehsud said. He told CNN he remains confident despite the large-scale military operation currently targeting him and his fighters in the province of South Waziristan. "We have conserved our energy and have not lost our morale," he said. The leadership of his organization is safe, he said, but he didn't say where they are taking refuge. He neither denied nor confirmed that the Pakistani Taliban was responsible for Monday's suicide blast outside the district courthouse in Peshawar. "Being occupied in other matters, I have not been able to contact my colleagues there, so I will not be able to take responsibility at this time," Mehsud said. Eleven people died and 36 were wounded in the Monday terror attack, according to a count by the hospital where victims were taken. Two of the dead were police officers. Peshawar is the capital of the Northwest Frontier Province, where the Pakistani government has also waged its recent military offense against Taliban militants.